This is a retrospective collection of one of the probably most known metal band to emerge from the Islands of Japan. 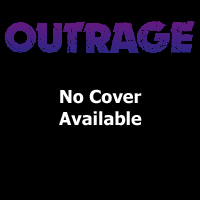 Outrage was created back some time in the early 80’s, where they started out as a mediocre and not very inspired metal band, mostly doing covers of NWOBHM songs. In the later 80’s they turned into a very heavily bay area thrash inspired band with a twist to power metal, tribute to Metallica most of all – If you didn’t know all material from either one of or both bands, you might mistake some of their numbers for the others. Since the beginning the band has gone through some line up changes, but according to the info I could get hold of, the band is back to their strongest formation, Naoki Hashimoto (who joined the band in ’86 and left in ‘99) is back on vocals, and the rest of the band is founding members Yosuke Abe on guitars, Yoshihiro Yasui on bass and Shinya Tange on drums. My personal favourite album is “Live Until Deaf” from ’95, and the absolute hammer track from that album „Megalomania“ is also included here – very nice look back. In 2008 a best of/compilation (recorded live) was issued, and there’s supposed to be a studio album on the way sometime soon. If they can live up to the power of their previous doings, I’m really looking forward to that one. If you’re a fan of the powerthrash-style of the 80’s and 90’s and don’t know this band yet, by all means check it out.